Air Conditioning Repair HOW TO FIND THE RIGHT REPAIRMAN Is your air conditioner blowing hot air? If so, then it might be time for some air conditioning repair. 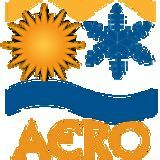 Most of us don't knowhow or skills to repair air conditioners ourselves. That's why it's crucial to choose the right repairman to complete the task for you. Tips To Find The Best Repairman Available (1) Verify that a repairman is fully licensed, bonded, and insured. (2) Look for companies that guarantee their work. (3) Get all estimates in writing. (4) Leave no stone unturned. Air Conditioning Installation We are the cooling experts and A/C installation contractors in Toronto, Vaughan, Newmarket and surrounding areas that will provide new, updated AC systems so you can live more comfortably, and at the same time take advantage of cost savings with current technologies. 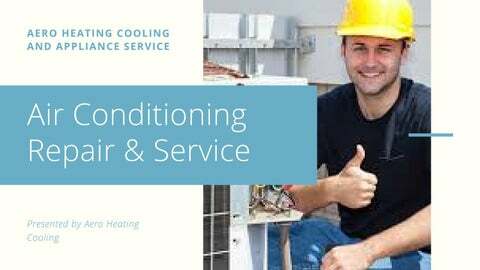 Air Conditioning Replacement Aero Heatiing Cooling have the expert contractors in Toronto who will replace your air conditioning with very little fuss.Â You can trust us for cost-effective, professional work. Donâ&#x20AC;&#x2122;t let summer's heat take the enjoyment of being fresh and comfortable whether it's your office or at home. Central Air Conditioning Repair Central air conditioning is a necessity during the summer months with all of the sweltering heat Southern Ontario can experience.Â You may not know but a central air cleaner is an essential part of your home's comfort system. Benefits Of Central Air Conditioner It's surprising how many homes and older businesses that still have outdated window air conditioning units trying to cool things down on a hot day. The time might be right to consider a more dependable, high performance central A/C system. Central air conditioning is a surprisingly affordable way to improve the overall even cooling of your home in addition to vastly improving the indoor air quality throughout.Â We come out and do a thorough inspection in order to determine A/C needs and what equipment is right for you.